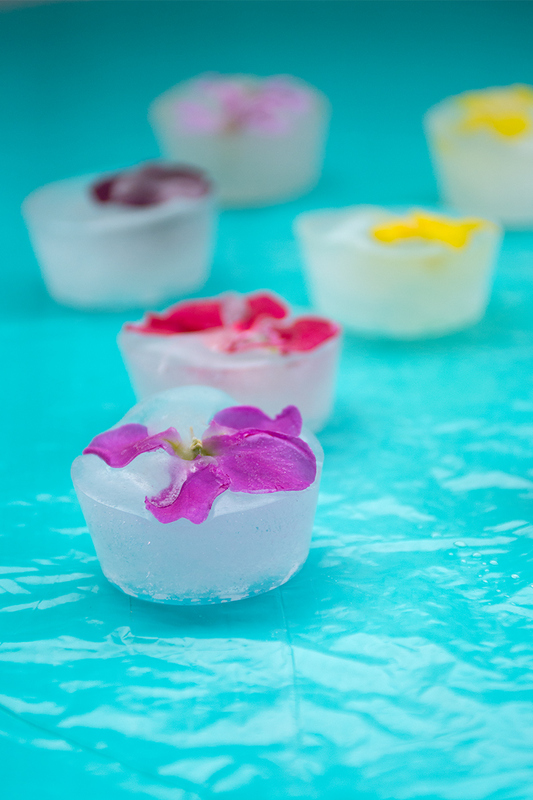 So fun to make: ice cubes with edible flowers! They will make every drink look festive! Pretty soon we will be celebrating the first of May. In Greece we gather wild flowers, making wreaths and decorating our homes with them. It’s always such a colorful and happy day to enjoy a picnic in the countryside with family and friends. 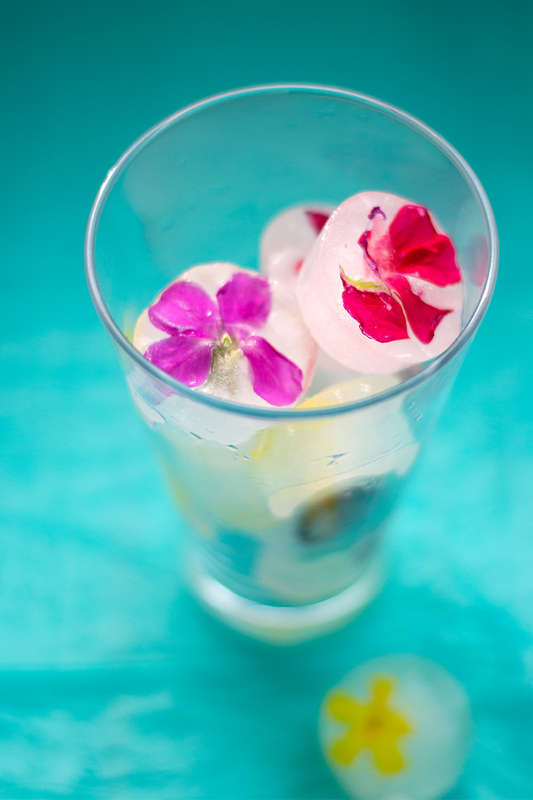 With May Day in mind we started playing with edible flowers in the kitchen of the Odyssey! We created a delicious chocolate cookie with edible flowers that I will share with you on the blog very soon. 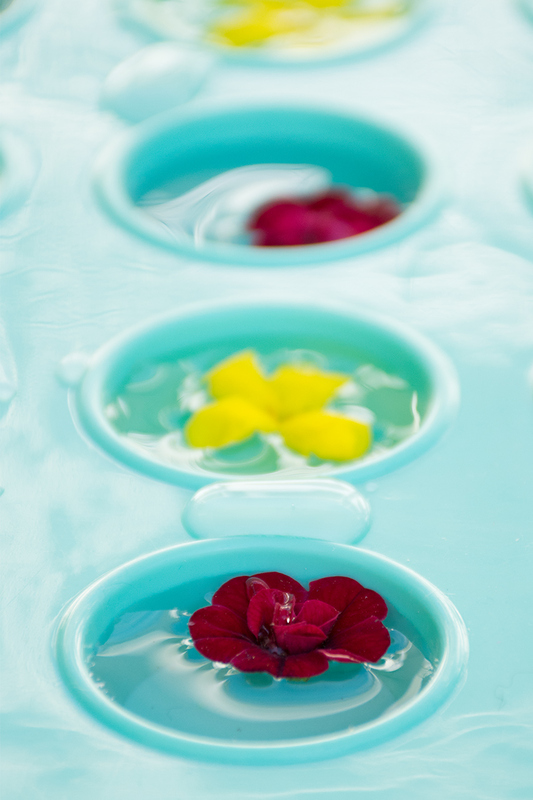 We also put flowers in water and froze them! 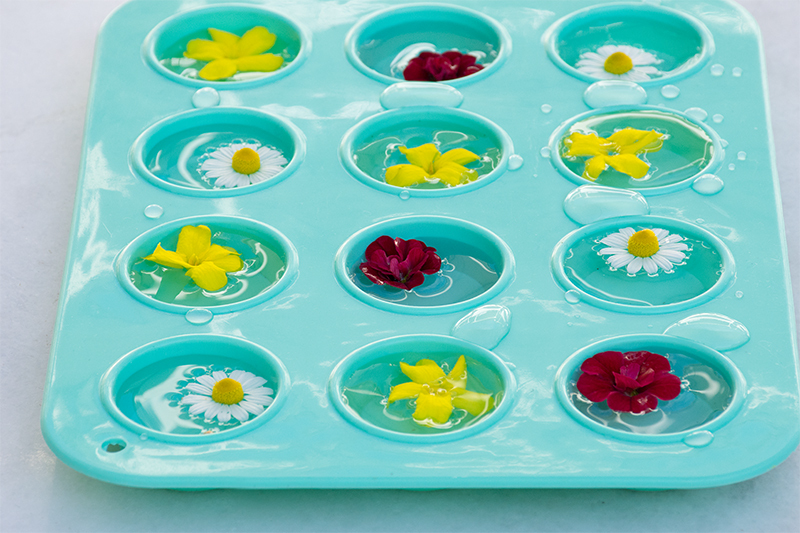 Please enjoy this ‘recipe’ that we had so much fun making: ice cubes with edible flowers! 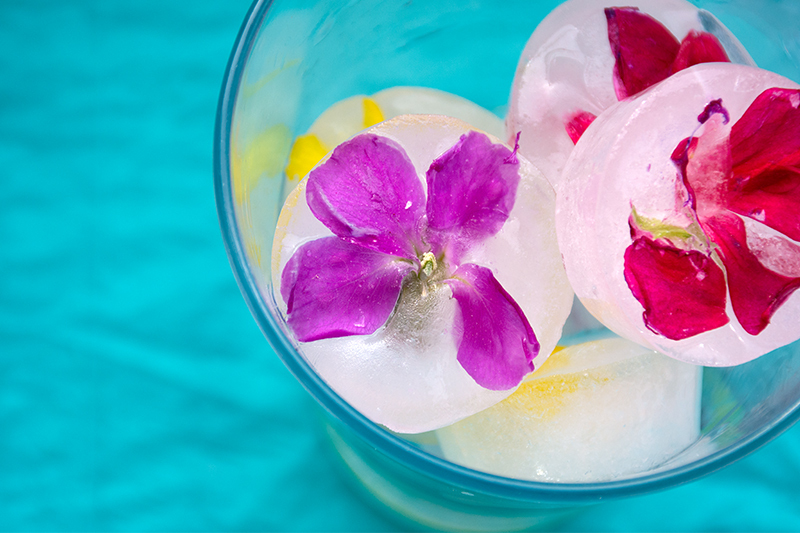 These ice cubes will make every drink look festive and get you in the swing of Spring! To get in the mood for May Day, we gathered some lovely quotes about flowers. 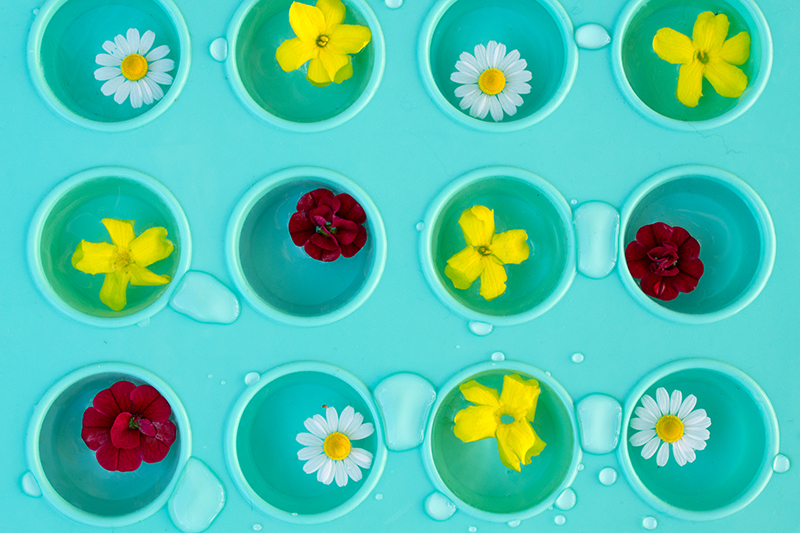 Have fun looking for pretty flowers and making the ice cubes! Add the flowers and press them down a bit. Put the tray into the freezer. Take it out when the water is frozen.